Using Exodus 18:19-23 as the main basis for his thesis, Early teaches that the main three aspects of biblical leadership is prayer, preaching, and raising up new leaders (or discipleship or equipping - however one wants to label that). These three facets of biblical, pastoral leadership also provide the main structure for the book. The book is divided up into 5 sections of 6 chapters each. This provides the reader with a nice format for using this book as a daily devotion, which is suggested by Early. This is how I utilized this book and when I am at a church with pastoral staff members, we will use this book as a devotional guide in staff meetings. Going through the book over 5 weeks allows the reader to think through each topic addressed and time to incorporate suggestions given in the book into the reader's life. The first section of the book is about the internal man. Pastoral leadership begins with a personal relationship with Christ that is growing and constant. Addressing issues as the call to ministry, spiritual warfare, purity, and other topics, the case is made that leadership begins internally and flows outward. A leader is a lifelong disciple of Christ, always growing in Him. 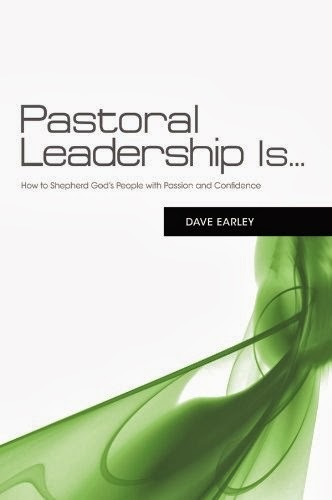 The section part of the book deal with the first of the three facets of pastoral leadership. Prayer should be paramount in the pastor's life. Moving again from the internal to the external, Early deals with the pastor's personal prayer life and moves to leading the church to be a house of prayer. Thirdly, Early writes about preaching. Here he moves from theoretical to practical. Beginning with the importance of preaching and moving to some basic "how-to" chapters, the author helps the reader understand that the pulpit cannot be neglected when it comes to pastoral ministry. One of the best ways pastors care for their flock is a strong sermon from the pulpit every week. Part four of the book approaches the topic of equipping the people of God to do the work of God. Early focuses on the investment a pastor can make in the lives of a few men so they can go and do more work than one man can do. Additionally, these faithful men can go and invest in more men to do more of God's work. This is obviously a model based on 2 Timothy 2:2 , which is near and dear to my heart. Early finishes the book with a very practical section on shepherding God's people. These 6 chapters deal with issues like how to resolve conflict in the church and how to council people all the way to how to do a wedding and funeral. These are filled with very practical helps for any pastor, but especially those new to the pastorate. Overall, this was an excellent read and may be the most helpful Pastoral Leadership book I have read. Pastoral Leadership Is... is filled with verses providing biblical instruction, and Early has given many practical helps to make sure the theory is put into the practice of the lives of pastors. For example, at the end of the chapter entitled "Training Yourself for Godliness," the author provides a simple and straightforward way to make some personal growth goals, ranging from mental, to physical, to spiritual, and then a quick guide on making these personal growth goals into a plan. Personally, I have adopted this plan and have been working to implement this into my life. Each chapter in this book is like this: filled with biblical instruction and practical help. As stated, I incorporated this book into my personal devotion time. After time of bible reading and prayer, I would read a chapter of this book, marking any significant information that would stir my mind that day. I found that I was looking forward to my quiet time not only to hear from God through His word, but also to spend time reading and thinking about pastoral leadership. I would recommend this book to ANY pastor. If you are looking for a gift for pastor appreciation month, this would be a nice gift to your pastor.